If you are not using some common Linux distribution (Ubuntu, Debian, Suse, Fedora etc. 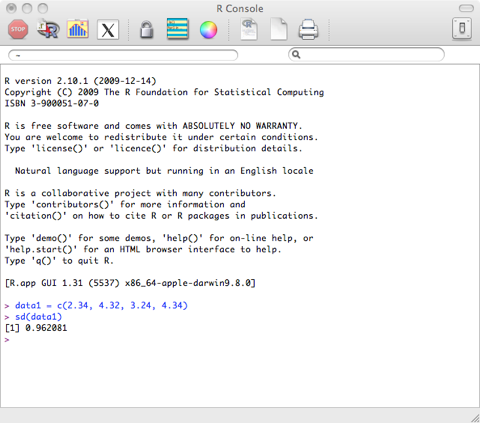 ), download the version of R for your OS. 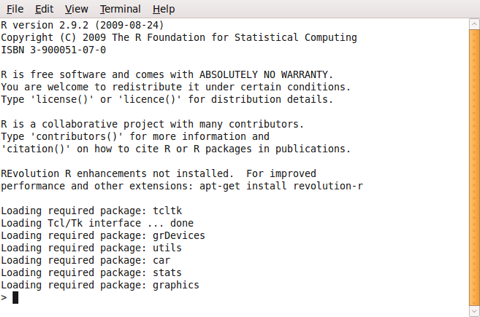 If you use Linux, your package manager will allow you to add R and its components, including a graphical interface (e.g. 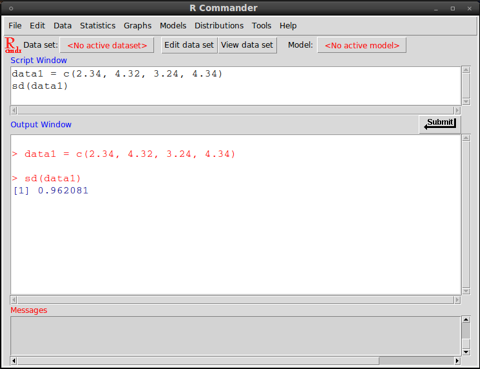 R-Commander). This means that a list of results or measures will be saved in memory under the name data1. The name data1 serves like a variable, when calling functions and setting up analyses of the data, avoiding the repetition of the same data from the scratch in all these functions. 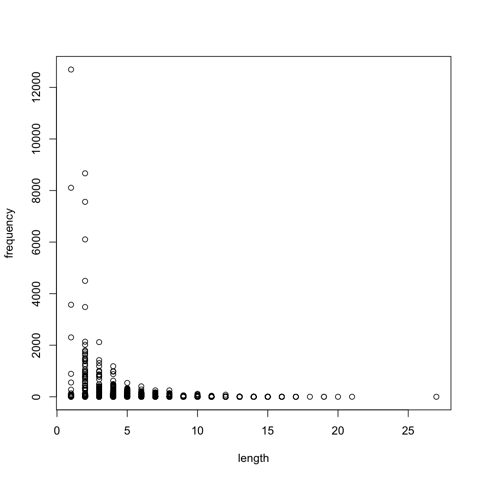 If you use Microsoft Windows and R does not read in the data from the file, try to specify the encoding. The file sample.dat is encoded in UTF-8 format. The Windows version of R should be able to open and read the ANSI encoded version of the data in the file samles-ANSI.dat, without specification of the encoding, as shown above. The ANSI encoded version of the data can be found in the Files section. This command would open the file without a file select window, where you can choose the specific input file. The command with the file.choose() component will open a file selection window. This is the result of the sub-command: file.choose(). The additional option “header=TRUE” informs R that the data in the file has a header in the first line. If you select the file sample.dat in the file selection windows, R will read in the data and store it in the variable words. The same graph can be found in the folder Files in PDF format (open it with Acrobat Reader), with the file name Word-Freq-Length.pdf.